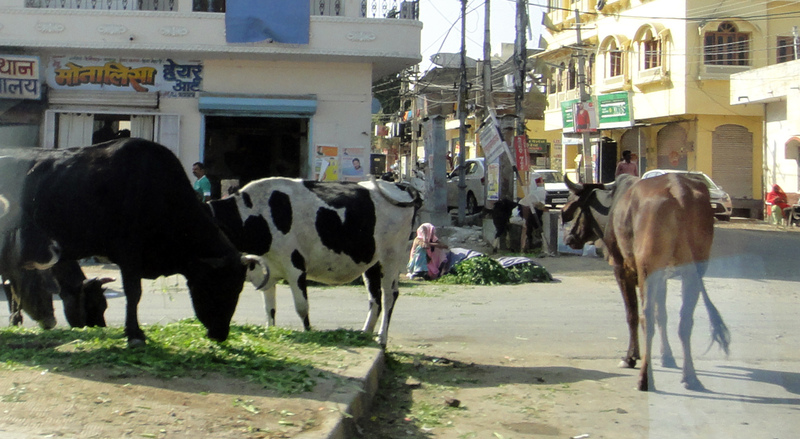 After our main trip to the Golden Triangle we went on to Udaipur – we could not get flights back on the right day, so we had to extend our stay. Udaipur which lies 400 miles southwest of Delhi proved to be fascinating because it was never conquered by the Moguls and therefore unlike Delhi and Agra, which are essentially Mogul, – that is Muslim cities, Udaipur was essentially Indian – that is Hindu and was the stronghold of the Rajput princes. 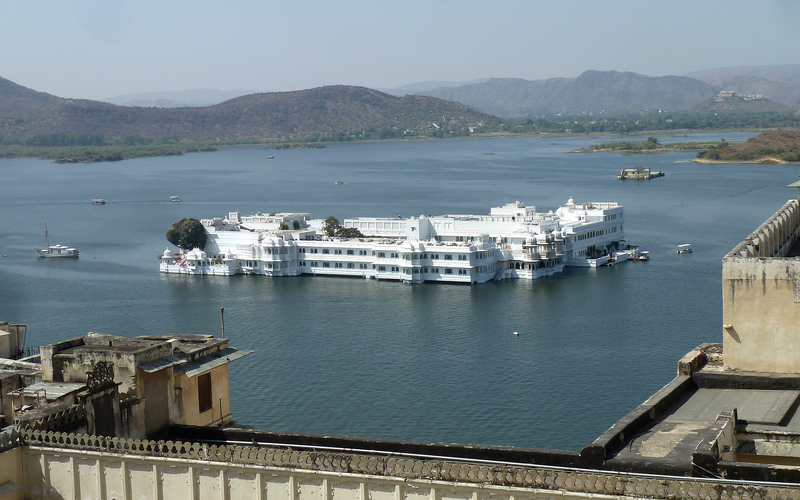 Udaipur is called the ‘city of lakes’ and the big attraction are the three lakes with a palace on an island in the middle of the biggest lake. The palace is now a hotel but for security reasons it is not possible to visit the island unless you are actually staying at the hotel. However the lakes are all artificial. The guide books never mention this, but we were told this by the guide, who presumably knew what he was talking about, because any local resident which have been aware of the dams that form the lake. The main lake which is Lake Pichola was apparently formed by the local tribesmen in the 15th century, but then the local ruler decided to build the city palace beside the lake and then subsequent rulers formed two further lakes by damming them. A geological map of India to show the Aravalli hills. Udaipur is near the ;R’. 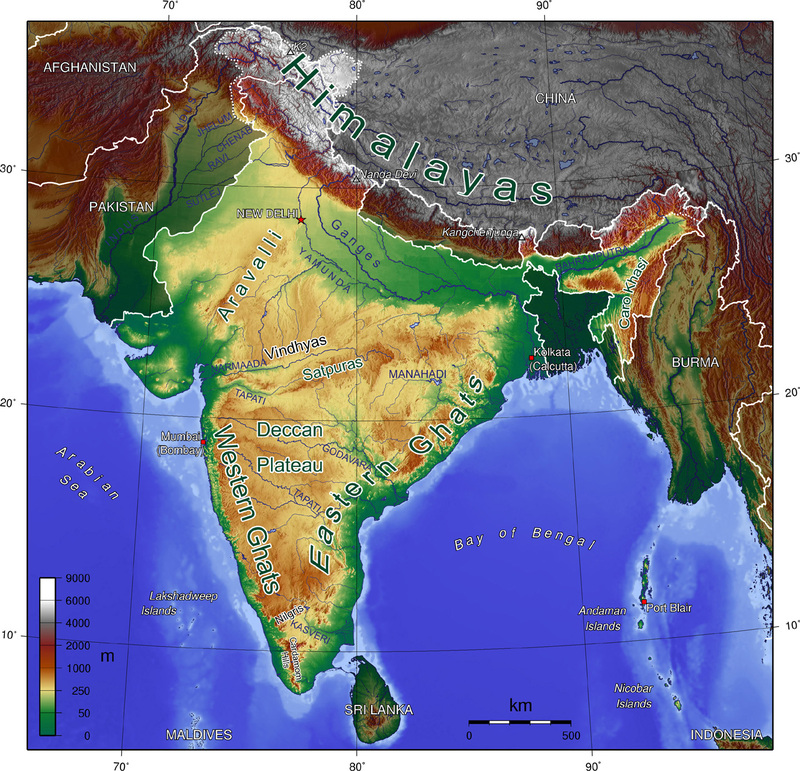 They are said to be the oldest hills in India, being pre-Cambrian, whereas the Himalayas are the newest mountains, forced up as India crashes into Asia. Certainly the geology seems all wrong for lakes. It is set in the Aravalli Hills which are metalliferous – we passed what is said to be the largest zinc factory in India between the airport and town, and the lakes are quite unlike the usual lakes formed by glacial morains.